It might not be the color green—maybe you prefer blue or white or brown. But your sofa should be green in another sense. It should be made of natural materials that are nontoxic, safe and healthful for you and every member of your family. The bad news is, most sofas aren’t. They’re full of unnecessary chemicals that undermine your health. And the planet’s, too. Consumers are growing increasingly concerned about the quantities of toxic chemicals that are pumped into everyday products. 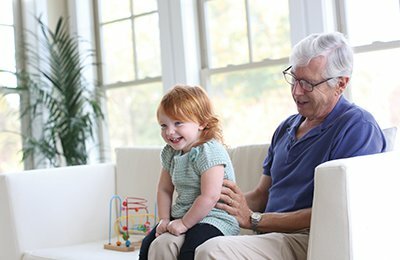 Among the worst are chemical flame retardants, which have been linked to cancer, obesity, infertility, and developmental brain disorders such as ADHD and autism. They’re poisonous to the environment, too, found in outdoor air and even in Arctic wildlife. The most widespread news about flame retardants (HBO’s Toxic Hot Seat documentary, Frontline's program on PBS, the Chicago Tribune’s award-winning investigation, The Human Experiment documentary and other reports) has focused on sofas. Like most mattresses, most sofas and similar upholstered furniture contain foams and fabrics that are loaded with toxic compounds—flame retardants, formaldehyde, pesticides and other “chemical soup” ingredients. Ever notice a puff of air when you sit down on your couch? It’s full of microscopic dust particles that carry tiny doses of the chemicals the foam and other synthetic materials contain. You breathe them in, touch them, and even eat them—even in the cleanest home. Everyone is vulnerable to their long-term effects, but especially infants and children, who absorb five times more chemical exposures than adults do. Scientists say the risk comes from chronic, low-dose, daily exposures, which is just what happens with ordinary use of your furnishings. Neither comfort nor decor should raise your risk of cancer and other serious diseases, and scientists have raised the alarm. Under pressure from researchers and health activists, some furniture manufacturers have begun to remove the worst flame retardants from their sofas and similar products. But that’s only part of the toxic sofa story. 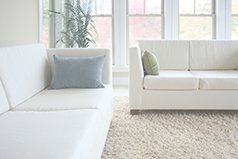 Most upholstered furniture also contains many other dangerous substances that migrate into your home and body during the entire life of the product. These include formaldehyde-based adhesives, pesticide residues, nanoparticle fabric treatments, a wide variety of hormone-altering compounds, and high-VOC (volatile organic compound) finishes. Our flagship organic sofa, the Verona is an elegant tuxedo style with cushions of natural latex wrapped in luxurious organic wool batting. 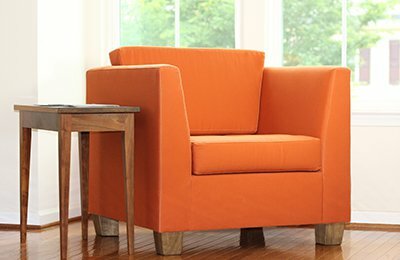 A companion to our organic sofa, this two-person loveseat the perfect addition to your family room. With its simple, modern styling, this natural armchair is suitable for nearly any room. When you choose a Savvy Rest organic sofa, loveseat or armchair, you’re choosing natural and organic materials that are durable and safe for your health. From natural latex foam to certified organic fabrics, certified sustainable solid hardwoods, natural jute webbing and zero-VOC finishes, Savvy Rest sofas bring new peace of mind to your home. They contain NO flame retardants, formaldehyde glues, cardboard, particle board, plywood, veneers or metal coils. They’re stylish and elegant, too. 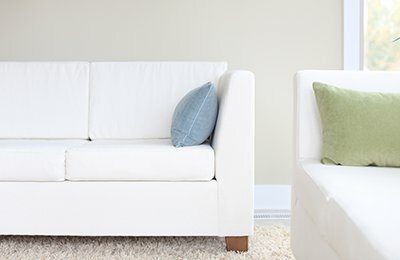 No matter what color you choose—your green sofa will be beautiful. Harmful chemicals from your mattress(es) and furniture may be floating all around you. Here's what you can do to avoid them. Free of toxic finishes and flame retardants, our organic sofas are a safe, elegant addition to your natural home. 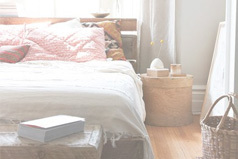 Along with your mattress and bedding, your entire bedroom can become beautifully natural, too. Here's how. 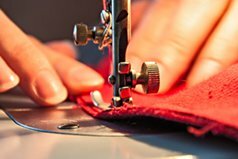 Most shoppers only consider two things when choosing upholstery fabric. But there's a third—and it's important.